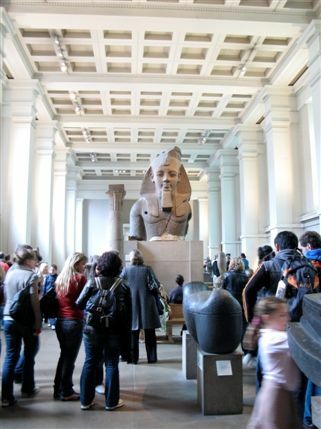 If you wanted to thoroughly explore the British Museum, it would take months, if not years. Over seven millions objects from all over the world are housed in this impressive museum of human history and culture (many of the artefacts are stored underneath the museum due to lack of space). Founded in 1753, displays ranging from prehistoric to modern times were primarily based on the collections of physician and scientist, Sir Hans Sloane. Notable objects include the Parthenon Sculptures (also sometimes called the Elgin Marbles), the Rosetta Stone, the Sutton Hoo and Mildenhall treasures, and the Portland Vase. The hieroglyphics and classical sculptures are instantly recognisable and world famous. The museum's collection of ancient Egyptian mummies is world famous and The Michael Cohen Gallery in this section includes a special tomb-chapel room dedicated to the life Negamun, a wealthy Egyptian who died around 1350 BC. This Egyptian gallery was one of four to open in 2008-09 including spaces dedicated to Clocks and Watches, Medieval Europe, and the Percival David Collection of Chinese Art, part of the Sir Joseph Hotung Centre for Ceramic Studies. The crowning glory of the museum its central hub, the glass domed Great Court designed by Lord Norman Foster - the largest covered public square in Europe.